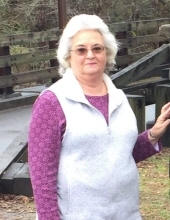 Sondra K. Alexander 68, of McKee, KY passed away peacefully at her home on Saturday March 30th, 2019 of natural causes. Sondra was born November 29, 1950 in Richmond, Indiana to the late Leon and Verna (Day) Arvin. She was united in marriage with Paul T. Alexander, (who survives,) on September 13, 1969. Sondra was a soft-spoken, nurturing, Christian who set an example for everyone she met. She, along with her husband Paul, were retired co-owners of P&S Snax, and she currently worked with the Meals on Wheels program in Jackson County, KY.
Sondra is also survived by her three children, Melissa Hill (Kene) of Richmond, KY, Monica Barnes (Travis) of Berea, KY, and Mitchell Alexander of McKee, KY.
Other survivors include four brothers, Dan Arvin (Cathy) and David Arvin (Rosanne) of Jacksonville, FL, Darrell Arvin (Mary) of Ponte Vedre Beach, FL, and Dennis Arvin of Versailles, KY. Two sisters survive her as well, Fonda Sharp (John) of Jacksonville, FL and Wanda Weakley of Richmond, KY. One brother, Dorsie Arvin, preceded her in death. She is also survived by her grandchildren, Corrigan Barnes, Claireece Barnes, Lauren White, Harris “Jackson” Poff, Reghan Hill, and numerous other children who affectionately knew her as “Granny Sondra”. She also leaves behind numerous cousins, nieces and nephews. Services will be at Lakes Funeral Home in McKee, KY with visitation on Tuesday 5 to 7 P.M. and services 2:00 P. M. Wednesday with Daniel Weakley and Jack Hall officiating. Internment will follow at Pine Grove Cemetery. Pallbearers : Travis Barnes, Kene Hill, Davey Weakley, Jeremy Weakley, Tyler Adkins and Matthew Sharp. "Email Address" would like to share the life celebration of Sondra Alexander. Click on the "link" to go to share a favorite memory or leave a condolence message for the family.